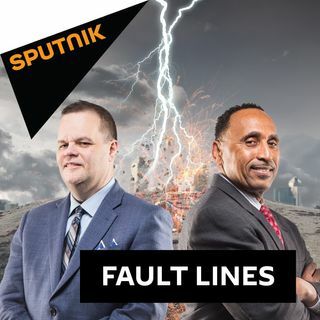 On this episode of Fault Lines, hosts Lee Stranahan and Garland Nixon discuss the extremely tense relationship between President Trump and the Department of Justice. With declassification battles ongoing, how does a recent report about Deputy AG Rod Rosenstein potentially seeking to secretly record President Trump impact this situation? Dr. Bill Honigman - Emergency Room Doctor & Progressive Healthcare Activist | If Democrats Retake the House, Should Nancy Pelosi be Speaker? Whitney Webb - Staff Writer at Mint Press News | What Exactly are US Taxpayers Subsidizing in Israel? Code Pink Co-Founder Medea Benjamin was removed from a Hudson Institute event last week for protesting the policies of the recently formed 'Iran Action Group.' What specifically was Medea opposing, and how has the mainstream media successfully kept the public in the dark about many of the realities of US foreign policy? Democrats are hoping to retake the House of Representatives in November's midterm elections which could see Nancy Pelosi return to her former position as Speaker of the House. Emergency Room Doctor & Progressive Healthcare Activist Dr. Bill Honigman joins the show to discuss the prospects of the Democrats winning the House, and if Nancy Pelosi should be replaced by a new Speaker should the Democrats reclaim power. For the final segment, Mint Press News Staff Writer Whitney Webb returns to the show to discuss the massive amount of fiscal aid that is transferred from American taxpayers to the nation of Israel. Between the expansion of settlements and aggressive military policies, what actions are US taxpayers actually subsidizing inside of Israel?